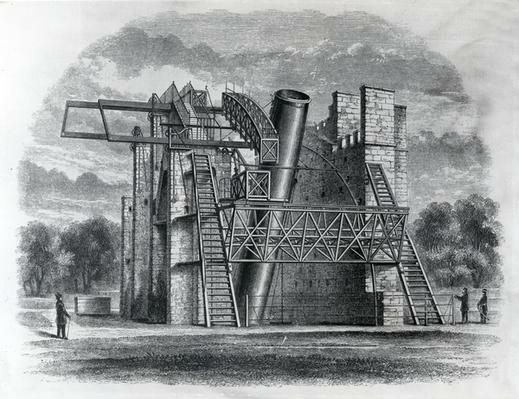 Newton’s reflecting telescope is the first fully functional reflecting telescope. 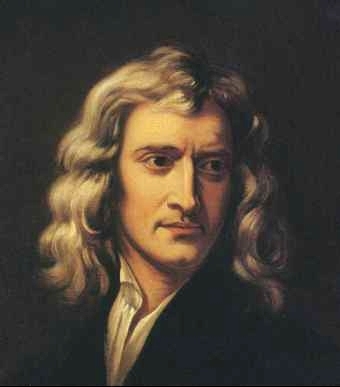 Isaac Newton, see Gravity, was born in 1642 in a manor house in Lincolnshire, England. 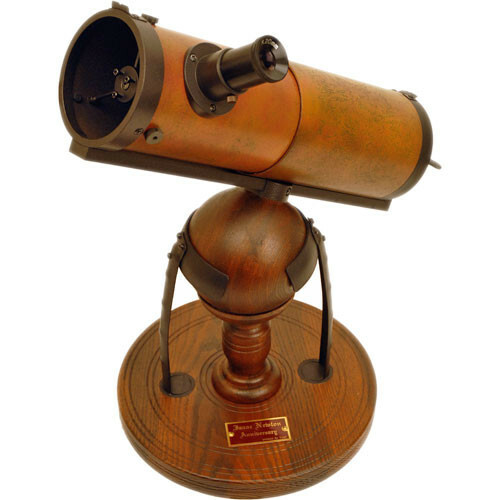 Others had experimented with the idea of a reflecting telescope including James Gregory but had not manufactured a working version. Early telescopes, like those used by Galileo, consisted of glass lenses mounted in a tube. When the light from a star passed through a lens, the different colours were refracted. This meant that the components of white light were brought to a focus at different places and the image of a star would then appear to be surrounded by a spectrum of colours. This effect is called chromatic aberration. Newton's solution was to replace the lenses with mirrors. 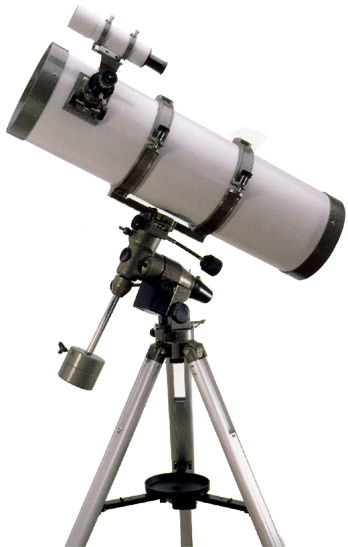 The reflector telescope is still very popular and has changed very little in 351 years. The Newtonian principle was taken to extreme proportions in 1845 with the construction of the Leviathan of Parsonstown otherwise known as the Rosse six-foot telescope. This was a huge reflecting telescope of 72 inches. Up to this point the biggest reflectors were only 30 inches. It was built by William Parsons, 3rd Earl of Rosse on his estate, Birr Castle, at Parsonstown in County Offaly, Ireland. With a 72-inch metal mirror weighing 4 tons and a tube 54 feet long, it remained the largest telescope in the world until 1917, 72 years.